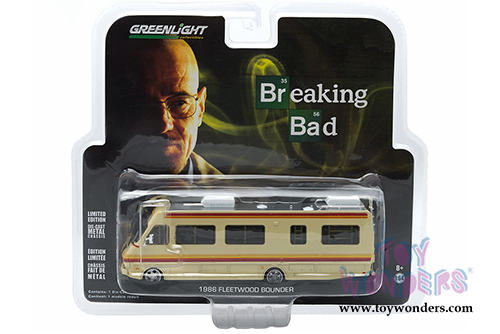 33021/48 Greenlight Hollywood Breaking Bad - 1986 Fleetwood RV. 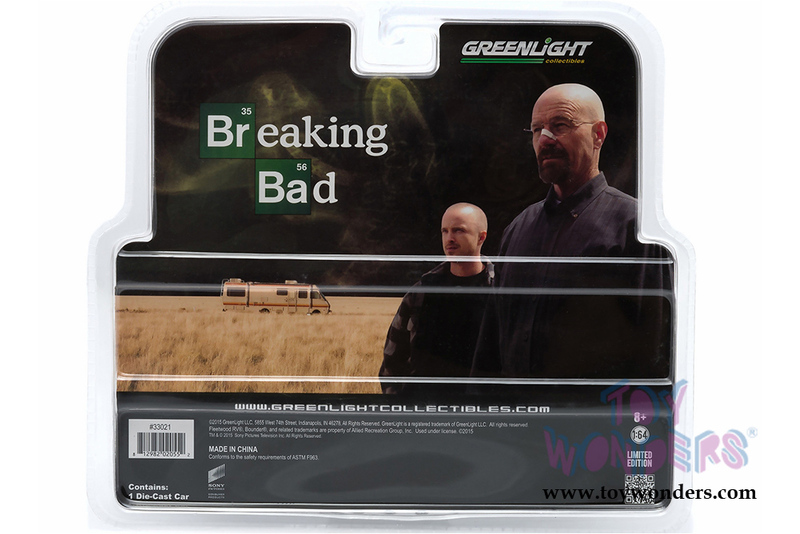 1:64 scale diecast collectible model Replica of one of the Most Iconic Vehicles in Modern Television! 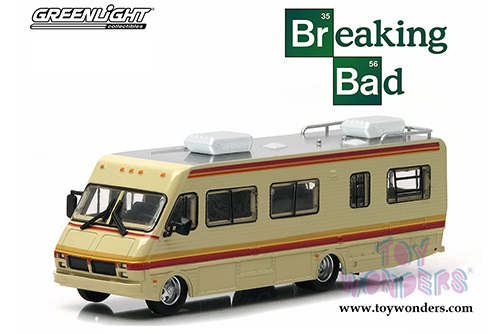 This infamous RV from the hit TV series Breaking Bad which show aired from 2008 to 2013. This Fleetwood RV is 5.75"L x 1.5"W x 2"H diecast metal car. Each car individually blister carded. Card size: 8.5" x 7.5". 12 pcs/inner. This 86' RV is manufactured by Greenlight.